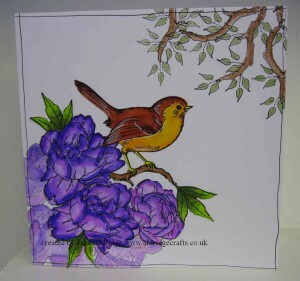 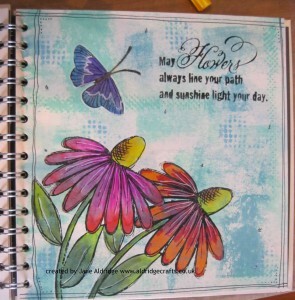 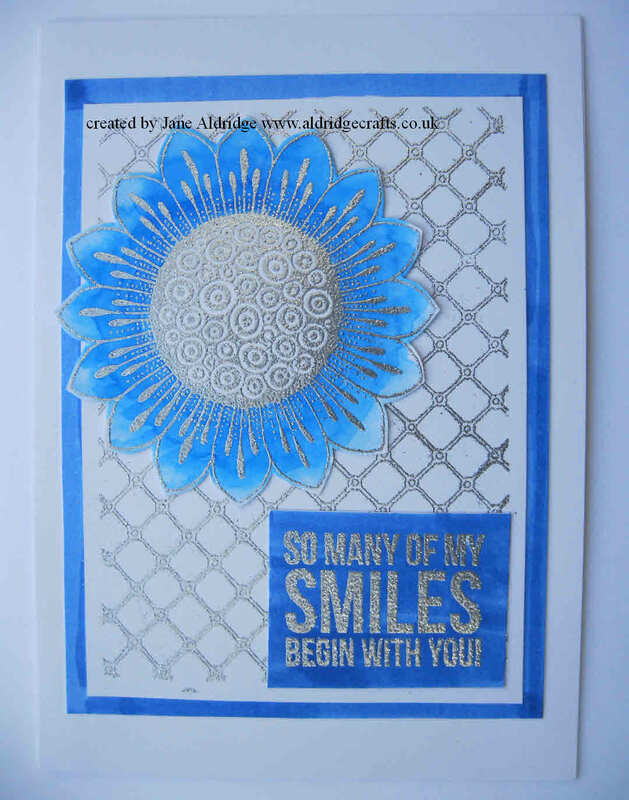 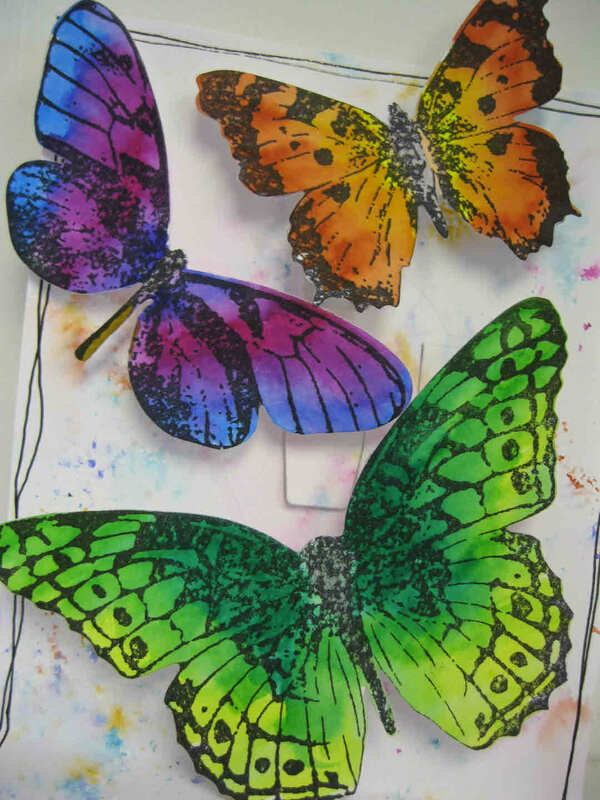 I’ve made lots of cards using the Stampendous Bird Blossom matching stamps and dies. This little bird can be coloured in so many different ways to appear to be a particular bird, or you can make up your colours as I did. 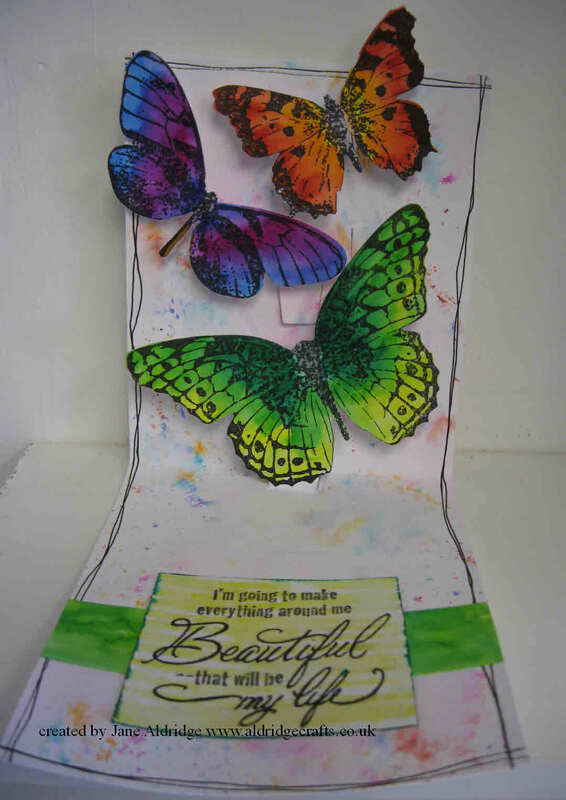 Everything featured on this 8×8 card is on the same stamp set. 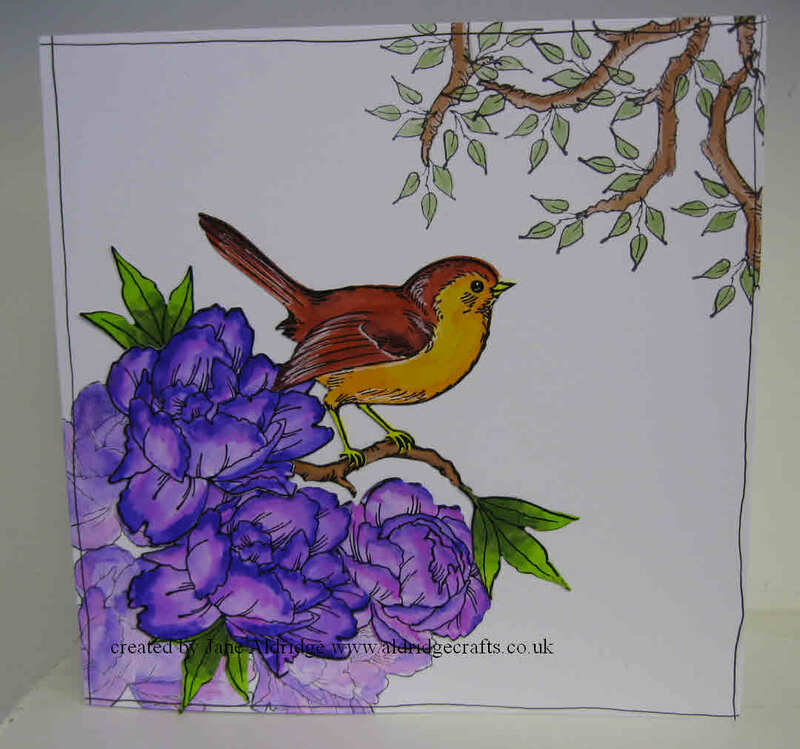 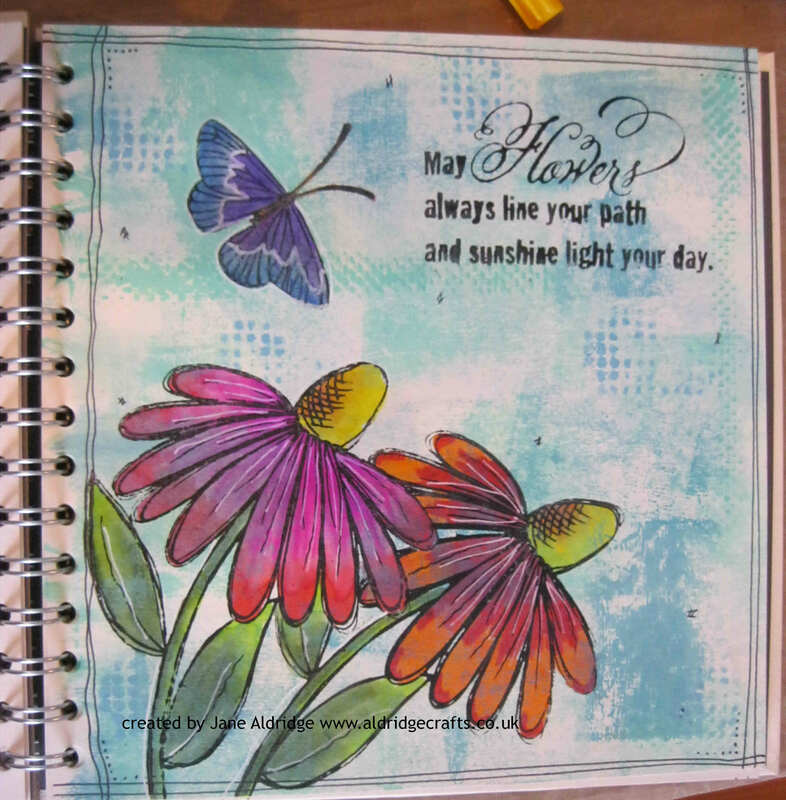 The lovely blossom is great to stamp, colour and layer up on your projects. 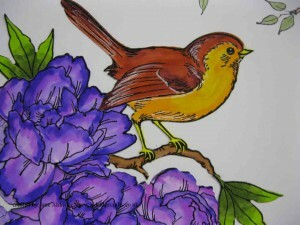 This has been coloured using the Koi Brush pens. 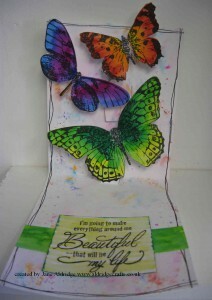 So easy to blend your colours together. On e of my favourite cards!